Minutes after arriving in St. Louis, Mo., to report on the events in Ferguson, I bumped into Cephus “Uncle Bobby” Johnson. He’s the uncle of Oscar Grant — the young man who was shot and killed by a BART police officer in 2009. With him was Ron Davis, wearing a R.I.P t-shirt with a picture of his son, Jordan Davis, who was shot and killed in November 2012 at a gas station in Jacksonville, Fla., when another customer was annoyed that he was playing music loudly. They call themselves a “circle of fathers,” a group made up of people who know first-hand what Michael Brown’s family is experiencing. 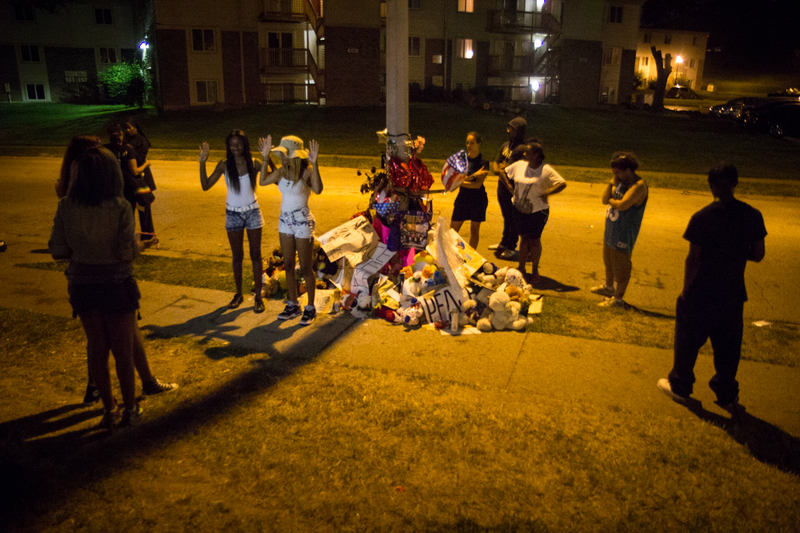 The young man’s shooting death by a Ferguson police officer has brought them together — again. Trayvon Martin’s father, Tracy, is a commanding voice within the group as they give each other support. His son was also shot and killed two-and a-half years ago by a neighborhood watch volunteer in Sanford, Fla. These fathers, whose strength lies in their support for each other, are trying to find ways to lead the national discussion around the senseless loss of so many young black men. They stress the value of empowerment. It’s an important message for young men like me to hear but achieving it is harder to grasp. As a young man of color, I constantly feel the need to defend my human rights. My mom tells me all the time to be careful and mindful of my surroundings — to not upset or scare those around me. But I’m tired of being “managed” in this way. I’ve never been arrested, but I’ve been pulled over and followed by police. It is belittling. I don’t feel protected or served. I feel bullied because of what and who I am. 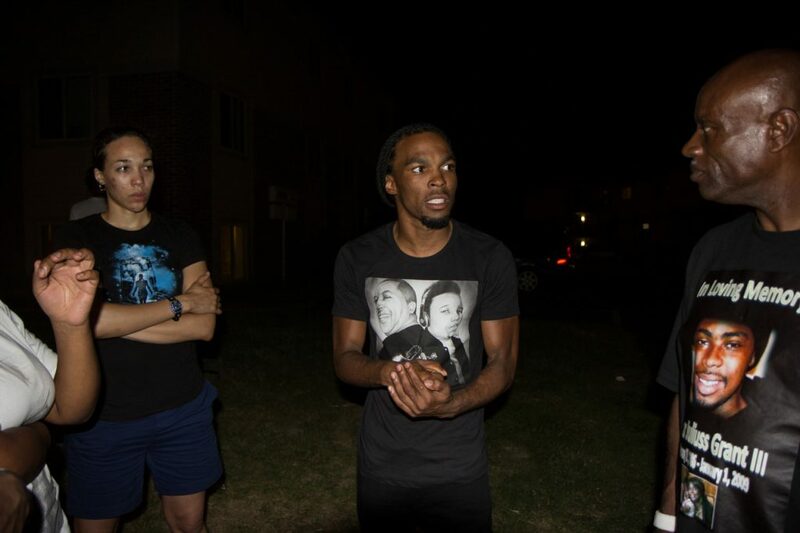 Many of the young people I met on the streets of Ferguson share this experience. I met protesters who are young like me: juggling work and school — just trying to grow up, learning to be men. But they are often derailed, distracted, or taken off-course. They don’t feel like they are treated with respect. In Missouri, as in the Bay Area, it’s a hard situation to fix. Many of the cops in Ferguson don’t live in the communities they serve. The tension seems to have been rising between the community and the police for as long as people can remember. With Michael Brown’s death, young black men in St. Louis are given a spotlight they didn’t have before. They want people to know they aren’t backing down. They aren’t giving up. Bay Area young people are furious too — about Michael Brown and all of the lives lost before his to police shootings. Where that fury will lead is the story yet to be told. The “circle of fathers” hopes some powerful new, young leaders will be formed by these experiences. From the activity on the streets around the country and online. I believe that’s already happening. At Michael Brown’s funeral in St. Louis, it was hard to miss all the young men standing alongside older civil rights leaders. There were also school kids there to witness history even if they didn’t understand its full meaning yet. After my experience in Ferguson this week, my hope is that the status quo is over and that young people will be the ones providing the road map for how justice can be served.